Illinois Attorney General Lisa Madigan announces a lawsuit against Chicago seeking a consent decree to guide reforms of the Chicago Police Department on Aug. 29, 2017. 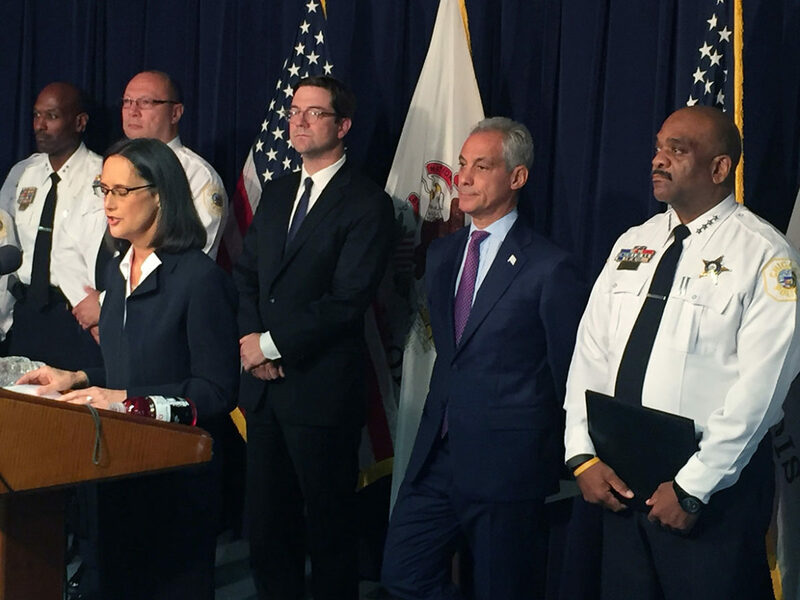 Judging from the pained expression on his face, Mayor Rahm Emanuel was none too thrilled to be standing with Illinois Attorney General Lisa Madigan on Tuesday announcing a joint agreement on a consent decree establishing federal court oversight of the Chicago Police Department. That’s understandable. First, Emanuel has been intent on maintaining mayoral control over the police and getting through a reform agenda as quickly and painlessly as possible. Second, the agreement with Madigan completely undermines a key argument used by the city to oppose a lawsuit by civil rights groups and police abuse victims: that the problems they were complaining about are already being fixed. And third, the agreement focuses attention on that lawsuit and the city’s continuing opposition to it. It raises the question: Why is the State of Illinois an appropriate partner for a consent decree, but Black Lives Matter, the NAACP, the Chicago Urban League and several other community groups – plus six individuals representing a class of police abuse victims – aren’t worthy of a seat at the table? That question raises another one: Whatever happened to the community safety oversight board Emanuel promised to put in place last year? Emanuel’s record follows a consistent pattern of resistance to reform, then reversal under pressure. He opposed the release of the Laquan McDonald video until a judge ordered it released. He opposed the call for a federal investigation of CPD until that stance became untenable. He opposed replacing the Independent Police Review Authority until he was forced to do so. He initially resisted a letter of understanding with the Justice Department and then signed one. And he has opposed a consent decree with judicial oversight until just this week. At every point, Emanuel has fought against sharing power or ceding control. This is not a good record on which to stand as reformer-in-chief. The city’s motion to dismiss the Black Lives Matter lawsuit – filed just last week – argues that “plaintiffs’ injunctive relief claims are moot because the policies and practices that they seek to enjoin are no longer in place in light of CPD’s extensive, ongoing reform efforts.” But if the key “injunctive relief” claim is now being granted to the attorney general, it would appear that it’s actually not moot. In fact, reform advocates were disappointed by several changes in the final draft of the policy, including the removal of language requiring that force be used only when there is no effective alternative, and that it be used in the least amount necessary. The Tribune’s examination of Taser use last week showed that CPD’s new policy does not correct problems of unconstitutional use of force identified by the Justice Department in its January 2016 report, particularly the use of Tasers against fleeing suspects who pose no immediate threat. CPD has also left unchanged its policy on the use of Tasers in stun mode (direct application to force compliance through pain), which is particularly prone to abuse. And while the city’s court motion cited increased training on handling mental health incidents, the Intercept recently reported that the use of SWAT teams in such incidents is increasing. So yes, it would be premature to assume all these problems are being solved. 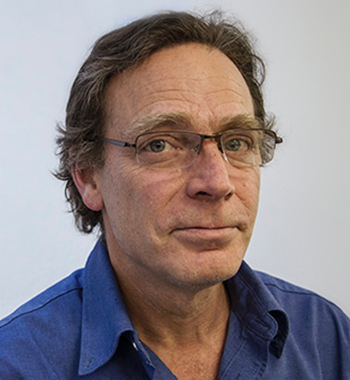 The bigger question is whether the communities most impacted by police abuse will have a formal role in negotiating and enforcing an agreement, said Craig Futterman, one of the lawyers representing Black Lives Matter et al. At their announcement, Emanuel and Madigan made noises about getting public input. But holding a series of hearings, or allowing comments at an online portal, after which the officials decide what to include and what to ignore, is not going to cut it. Futterman cited the legal settlement in Cincinnati, where the Justice Department and community groups were both included as parties to a consent decree. “As success stories go, it’s as good an example as anywhere in the U.S. of a mechanism for addressing civil rights violations,” he said. That raises another question about giving the community a voice in oversight of the police department. Last year, as the City Council was passing ordinances establishing the Civilian Office of Police Accountability and the Inspector General for Public Safety, Emanuel promised that the third major recommendation of his Police Accountability Task Force – a community oversight board – would be acted on within months. That hasn’t happened. It’s not hard to guess why. It would represent a significant ceding of power by the mayor. His task force recommended that the community board be empowered to appoint the chief administrator of COPA. A report from the Grassroots Alliance for Police Accountability included the proposal that the board play a role in selecting the police superintendent. Emanuel can keep fighting to maintain control over the reform process, but the fact is, he will keep losing. At some point he needs to recognize, as the Justice Department and his own task force argued, that reform is going to take many years. And it’s going to require sharing power with the community. That’s something a real reformer would embrace.